I think plants are just on my mind this week, seeing as it’s early spring and all. I spotted my first crocuses today when I was at a meeting up in Wiscasset today and I gave a tiny shout. My co-worker thought I dropped my coffee, but I was really just excited about FINALLY seeing a little flora in Maine. I’m rambling a bit, and it’s probably because I’ve had a few glasses of wine, and while that didn’t exactly inspire me to post about Amy Stewart’s very cool sounding book, it does seem fitting, right? As I type this, I’m sipping at my own glass of alcohol and contemplating the grapes that made it, and all the many fruits and leaves and grains that go into a truly fantastic cocktail. 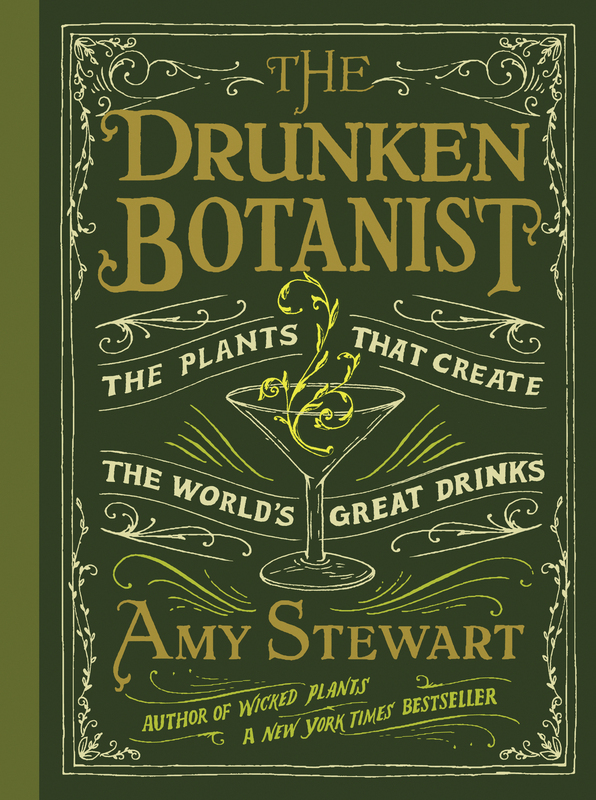 In The Drunken Botanist, Stewart chronicles the vast variety of plant life that has been transformed by our greedy hands into creative libations and delicious intoxications. Oh, and because I can’t not mention this fact, it’s a beautiful book with truly awesome typography. I should probably buy it for my boyfriend, who could frequently be described as a drunken botanist (when he’s not busy being a “mad scientist”). < Previous Two cool things: Green architecture, plant emotions. Next > Kiyoshi Mino makes furry friends from felt.